TripAdvisor’s Certificate of Excellence honors hotels and resorts that consistently demonstrate a commitment to hospitality excellence, based on guest ratings. Victoria House has been awarded a Certificate of Excellence 8 years consecutively from 2011 to 2018, demonstrating our commitment to delivering an exemplary experience for our guests. In addition Victoria House has been the proud recipient of TripAdvisor's prestigious Travelers' Choice Awards on 10 separate occasions (including the last 9 years.) In 2019 we have been honored as one of the top 1% hotels. Condé Nast Johansens Awards for Excellence were created to acknowledge, reward and celebrate exemplary hotels throughout the world. The Awards for Excellence are a trusted mark of quality, recognized by consumers and travel professionals alike. We are thrilled to have been recognized on such a consistent basis! 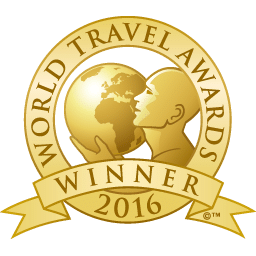 The World Travel Awards serves to acknowledge, reward and celebrate excellence across all sectors of the global travel and tourism industry. We’re grateful to be recognized as Belize’s “Leading Hotel” for 2014, 2015 and 2016! Fodor’s is one of the most prestigious travel publications in the world, and their Award of Distinction “recognizes the top sights, properties, and experiences” throughout the world. We are proud to have been awarded the 2013 Fodor’s Choice Award of Distinction. Booking.com’s rating system is based on the feedback of verified guests, and as such, we’re proud of our 9.4 out of 10 rating, which makes us one of the highest rated resorts in Belize. Hotels.com’s guests have rated us an “outstanding” 4.8 out of 5! The Hotel.com rating system is based on the feedback of verified guests, so we are grateful and honored by the incredible feedback we have received. Recommended by 97% of our Expedia guests, we invite you to discover why we are considered one of the best resorts on Ambergris Caye and within Belize. Victoria House was featured by the Romantic Tourist website as one of the top 20 romantic recommendations for Love in Latin America. Couples love the adventure and relaxation to be had from exploring Mayan ruins or the Mesoamerican Barrier Reef or a relaxing couples massage over the water at our sea spa, or in the luxurious new Spa and Wellness Center at Victoria House. 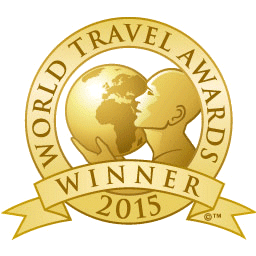 The Experts Choice Award reflects the views of journalists and professional travel writers and is bestowed on only the best hotels around the world. We’re proud to be recognized by so many prestigious contributing organizations, including Jetsetter, Oyster and The Telegraph!